Are you searching for professional tree planting and removal anywhere in Dallas-Fort Worth, TX? MDM Landscapes is the name you need to know. We are fast and experienced, and we guarantee you will be happy with how your landscape looks when we are finished. Our professionals will work hard to ensure completely safe removal and impeccable planting leaves you satisfied with your commercial property, apartment complex, or residential development’s landscape. Call us now at 817-396-0125 for lawn care in the DFW. The largest of trees started out as small saplings, and it can be easy to underestimate how much space a fully matured willow will take. When scouting prospective planting sites, we ensure that you will have enough space between neighboring plants and buildings. Your tree should provide necessary shade without choking other plant life or blocking it from the sun altogether. When planting near power lines or other permanent features of the hardscape, consider the future impact branches could have on these necessary elements. 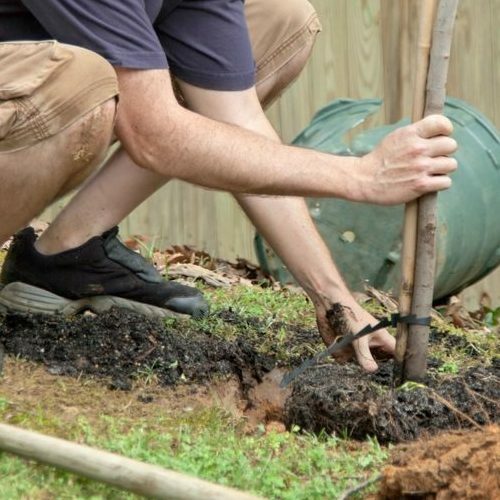 Smaller or medium-sized trees are great when there is a limited amount of room for roots and upward growth. Many trees do not receive the care they require and are sadly left to die. Removing a dead tree isn’t as easy as uprooting rose bushes or carrots, and often requires special equipment and an expert to ensure the tree is removed safely and without any damage. For tree planting in Dallas-Fort Worth, TX, call us today. Removing a tree is a big decision, and can have drastic effects on the aesthetics of your landscape. Such a permanent decision should not be taken lightly, but removing a tree is sometimes necessary. Dead or diseased trees can spread their ailments to neighboring plants. Even perfectly healthy trees may need to be removed if they begin to interfere with other plants, buildings, driveways, or electrical wires. We will also help remove the stump afterward, ensuring your total satisfaction and the complete restoration of your property. Stumps can also be left to add aesthetic elements to your landscape if you desire. So if you have an overgrown tree on your property or looking to add a new addition, be sure to contact us today at 817-396-0125 for our other landscaping services. MDM Landscapes has everything you need when it comes to tree planting and removal in Dallas-Fort Worth, TX. Updated on March 8, 2019 at 2:32 pm by MDM Landscapes.